The basic principle is as simple as it is brilliant; taking the free energy that exists in the air and ground outside and converting this energy into heating your home. This heat can then be used to heat radiators, underfloor heating systems, or warm air convectors and hot water throughout your home. 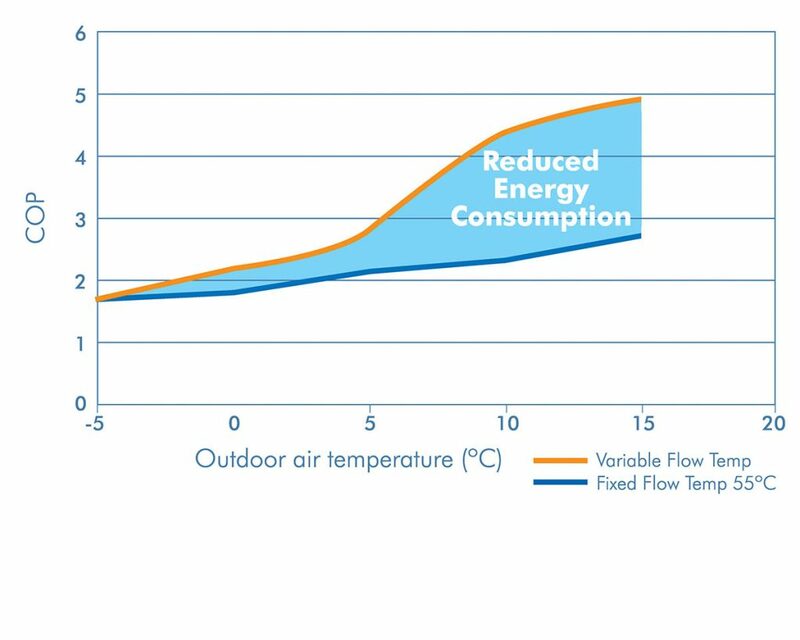 For every 1kW of electricity fed into an Ecodan heat pump unit (outdoor unit) you could achieve at least 3kW of heating energy. An air source heat pump extracts heat from the outside air in the same way that a fridge extracts heat from its inside. It can get heat from the air even when the temperature is as low as -15°c. Heat pumps are particularly suitable for rural locations, whether on oil, LPG or direct electric, as huge savings can be obtained. Qualifies for the Renewable Heat Incentive (RHI) or Commercial RHI scheme. IS A HEAT PUMP SUITABLE FOR ME? Is a Heat Pump Suitable for my Home? Do you have a location for the heat pump to go? You will require a position outside your home where an outdoor heat pump unit can be fitted to a wall or placed on the ground. It will need spacing around the heat pump to allow sufficient flow of air. A sunny wall would be an ideal location. Since air source heat pumps work best when producing heat at a lower temperature than traditional boilers, it’s essential that your home is insulated and draught-proofed well for the heating system to be effective. 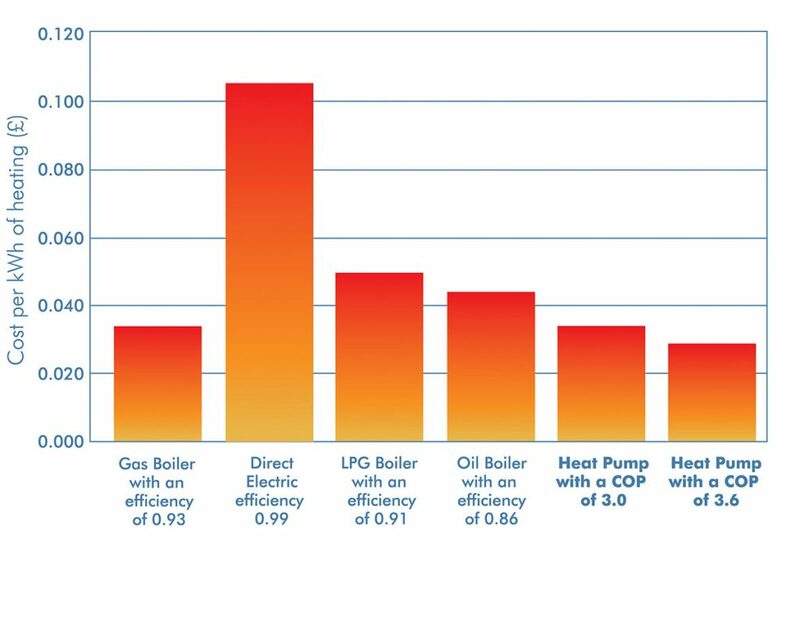 The heat pump system will pay for itself much more quickly if it’s replacing an electricity, oil or coal heating system. Heat pumps may not be the best option for homes using mains gas. 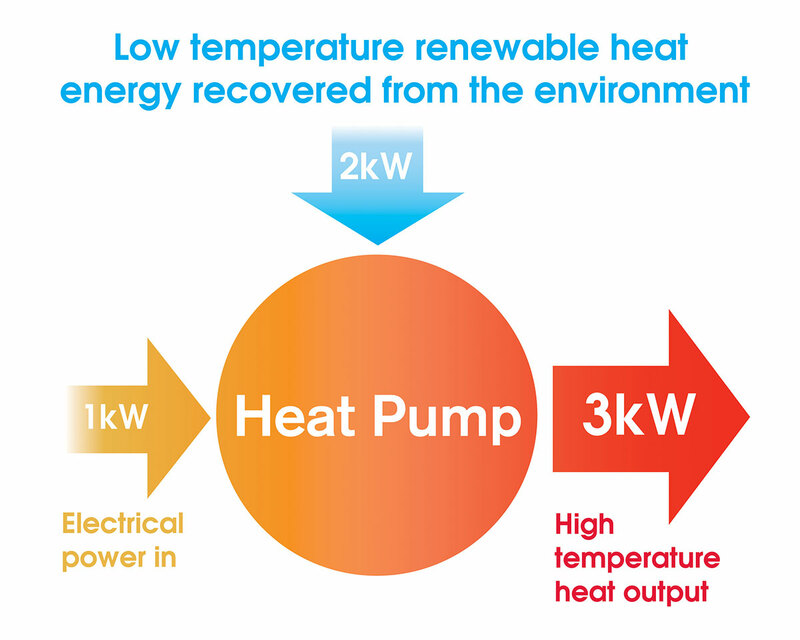 Air source heat pumps can perform well with both UFH and radiators. But both of these heat emitters need to be properly designed and installed in order for the system to work correctly. 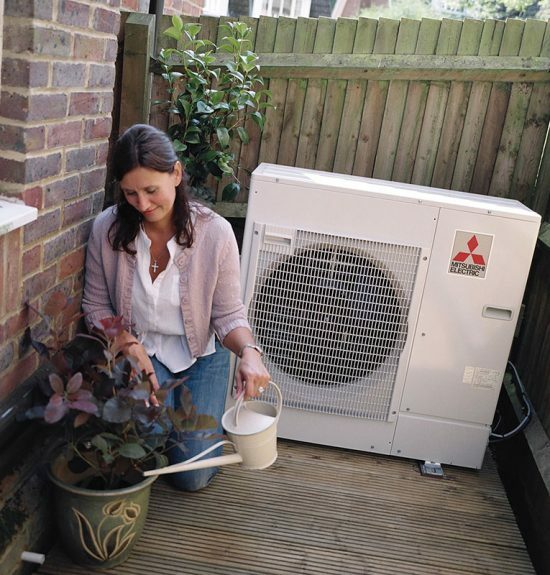 Is the heat pump system intended for a new-build, extension or renovation? At the heart of an Ecodan is a modern, inverter-driven heat pump compressor which converts free energy from the air and upgrades it to higher temperatures suitable for heating. The inverter controls and regulates the system so that heat output modulates to match the exact capacity required – meaning the boiler will only consume the exact energy needed at any given time and thus increase efficiency further. This programme has been devised to forge a strong link with partners within the industry to ensure customers receive the highest level of installation and after sales care. As one of Mitsubishi Electric’s Partners, and Ecodan heat pump installers we adhere to the strict guidelines set out by the Partner Programme. Such as standards for installation, commissioning and maintenance, and the quality of staff and training – all designed to deliver an assured, uniform and professional service on which you can rely. Contact us today and we will arrange your free initial site survey to assess your property’s suitability and discuss a variety of heat pump options that will be suitable for your requirements. 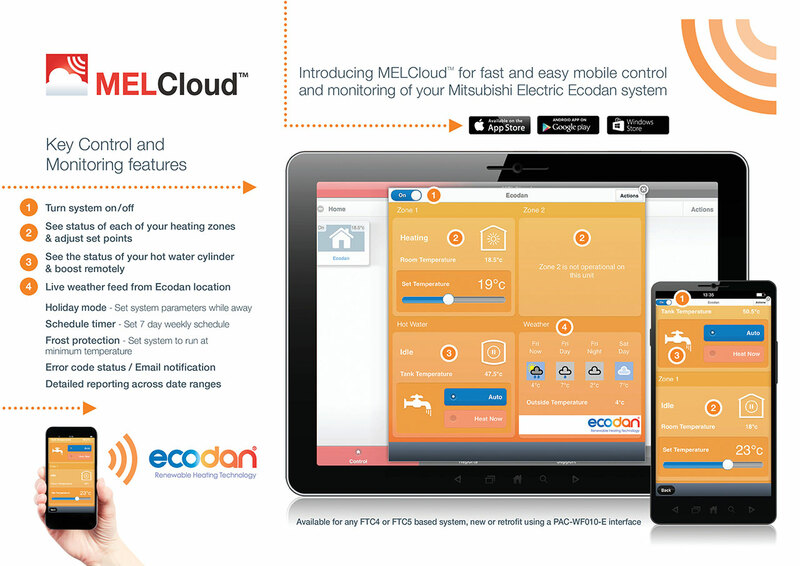 MELCloud is a new cloud based solution for controlling your Mitsubishi Electric Ecodan heating system either locally or remotely by PC, MAC, Tablet or Smartphone via the internet. Compatible with Apple, Android, Windows and Blackberry operating systems. How much heat do you get from an Ecodan? How hot should my radiators be? Will my Ecodan work when it is cold outside? What should my Ecodan sound like? We believe that by investing in a planned preventative maintenance programme you can ensure that your heat pump equipment operates at its maximum efficiency coupled with optimum reliability and reduced running costs. Relying on a reactive strategy is a short term solution that can prove costly in the long term. We recommend that your heat pump is serviced annually to ensure you comply with our warranty conditions and also to meet the requirements of the Renewable Heat Incentive (RHI) Scheme should this be of interest. AES has a range of heat pump service and maintenance packages to support your heat pump system. Whilst it is rare for our customers to experience no heating or hot water we can offer our expertise providing affordable peace of mind.